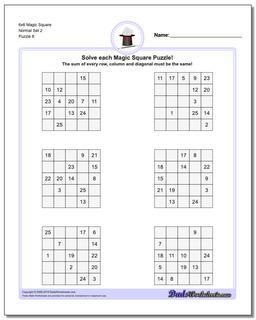 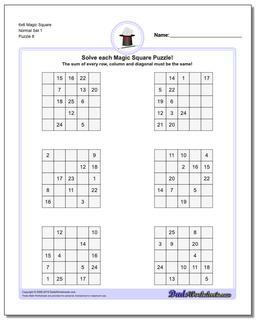 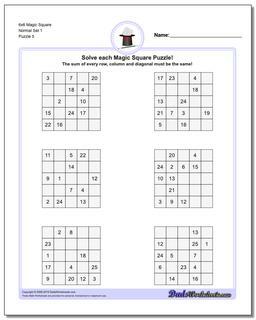 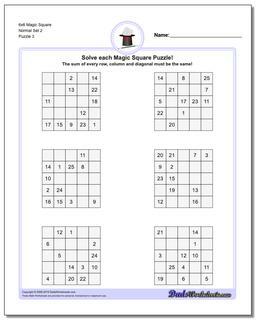 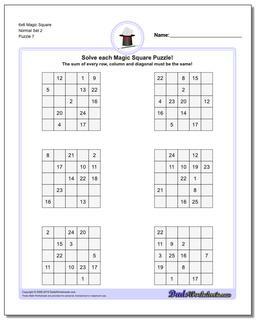 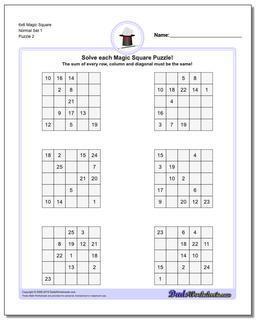 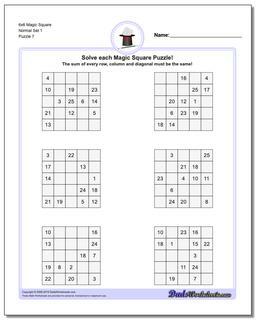 These 6x6 magic squares, even in their normal forms, are quite challenging and good brian teasers for middle school math wizards or even for math saavy adults. 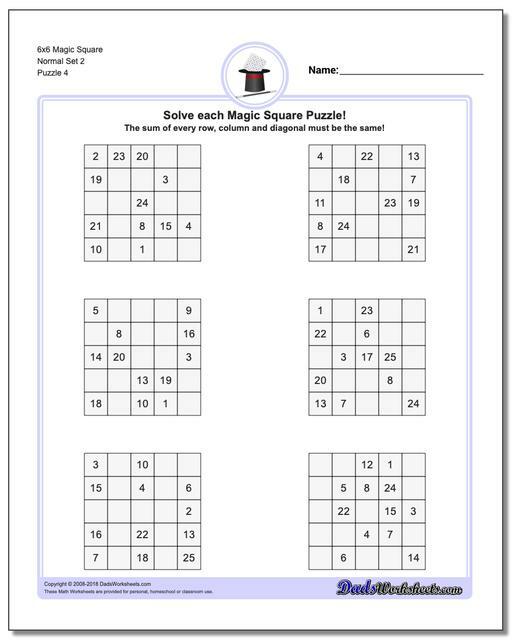 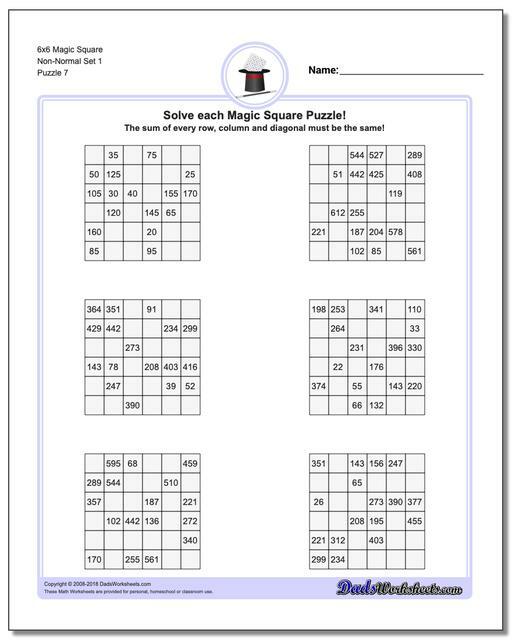 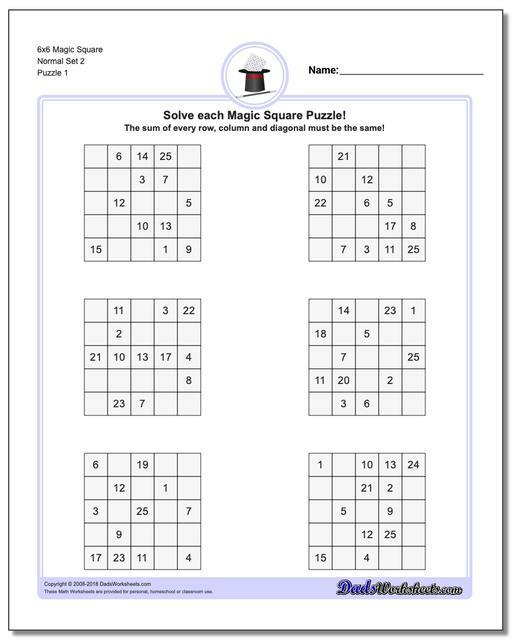 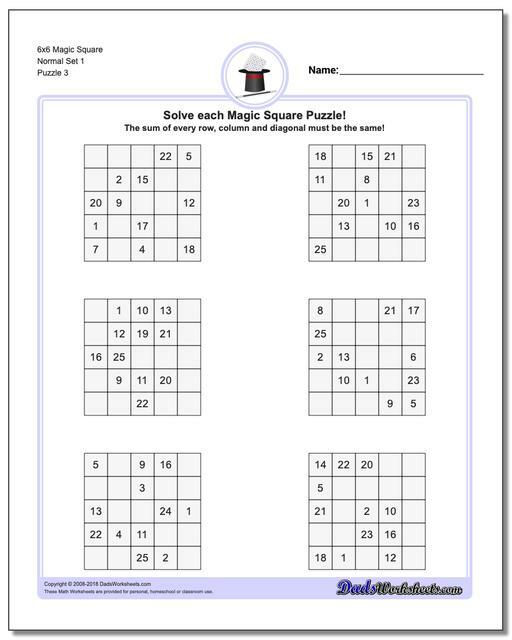 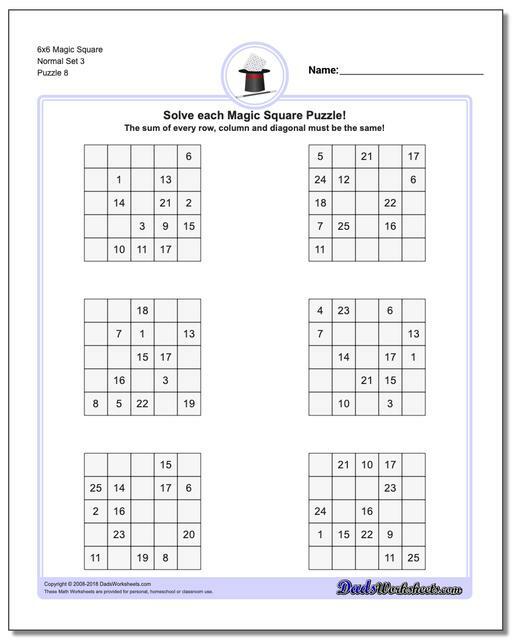 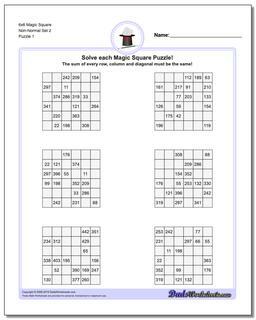 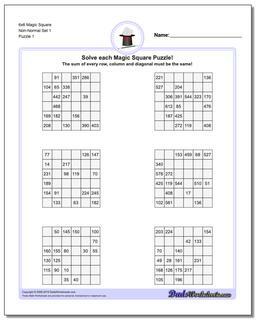 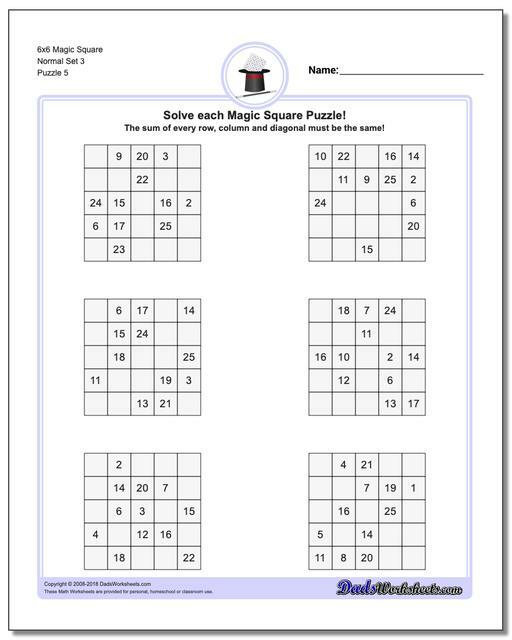 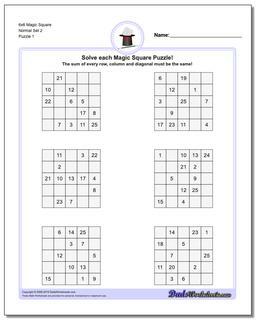 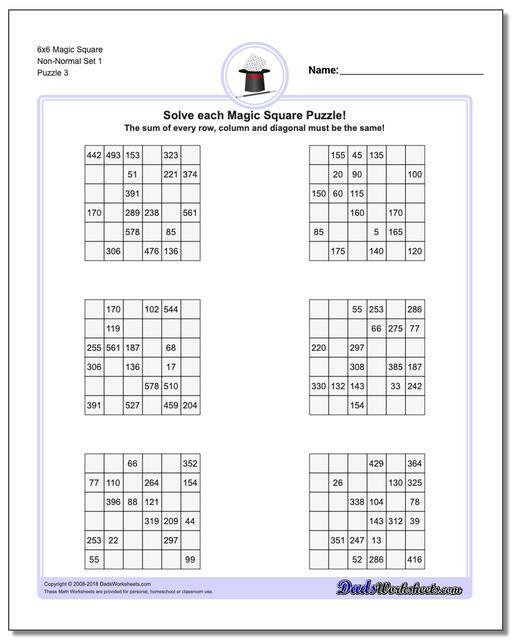 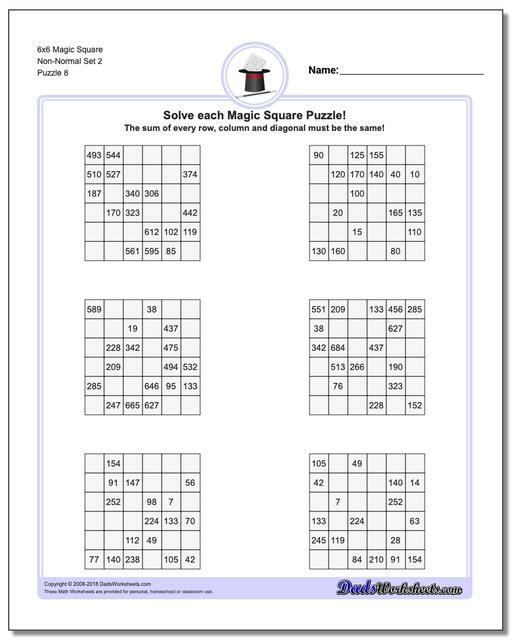 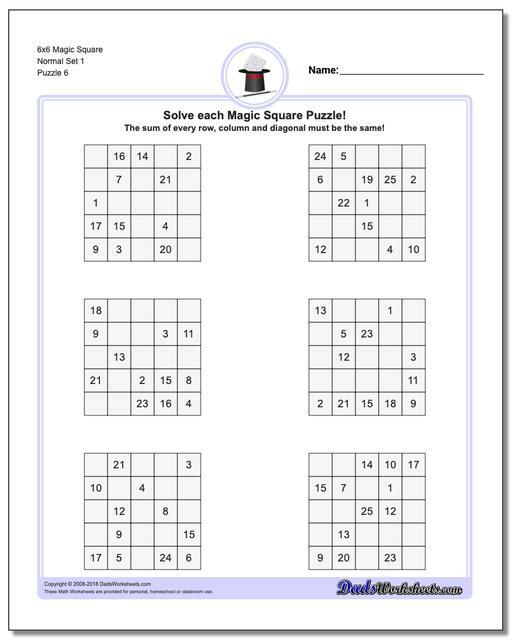 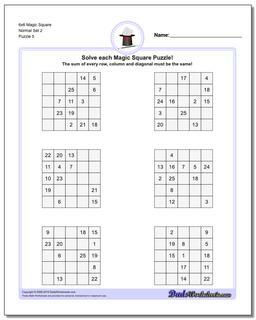 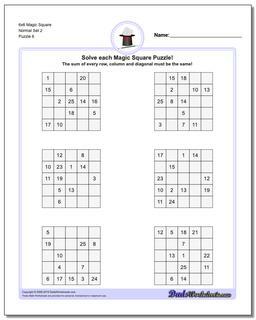 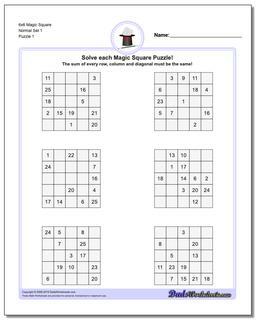 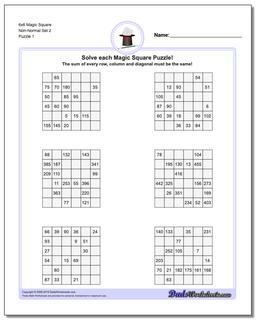 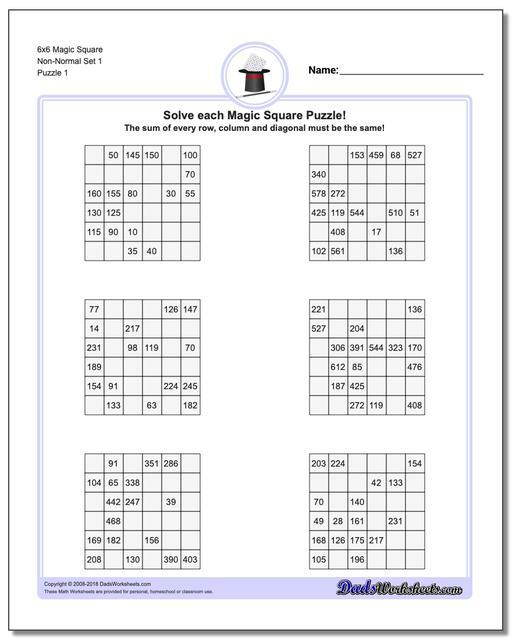 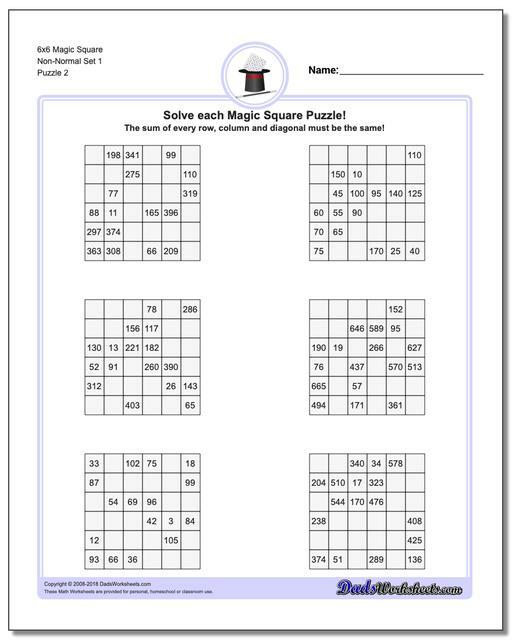 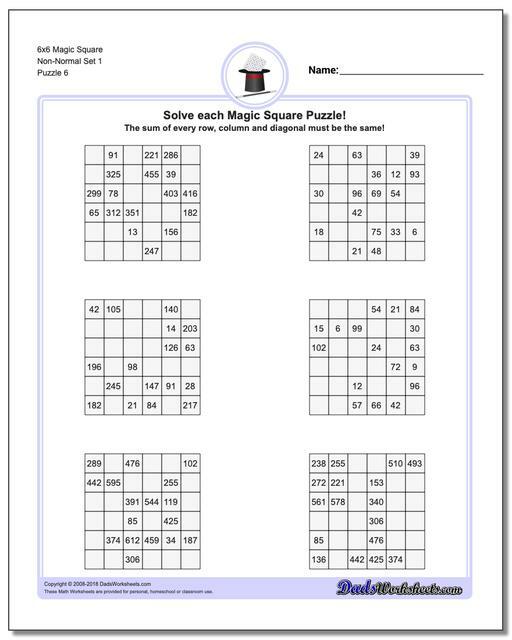 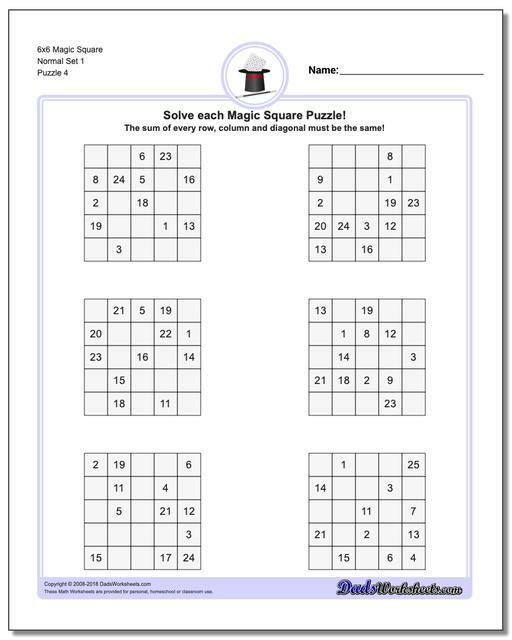 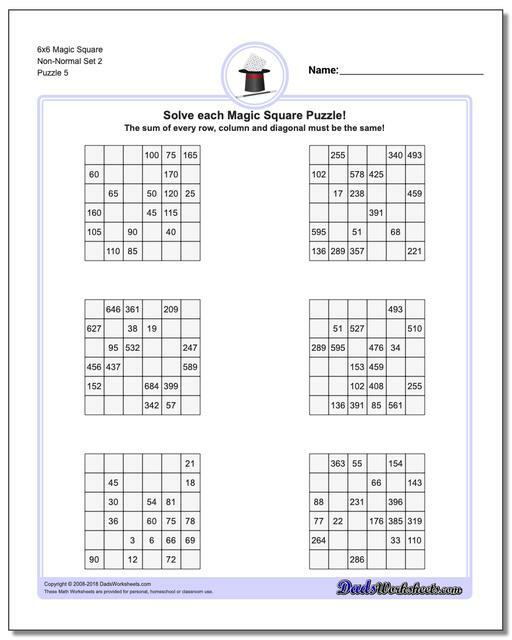 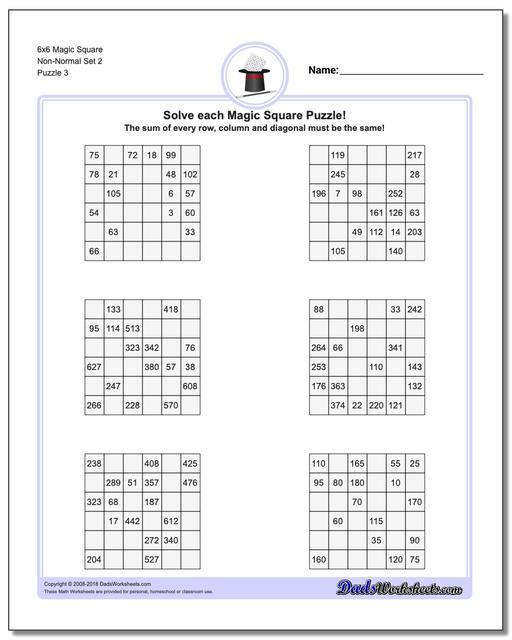 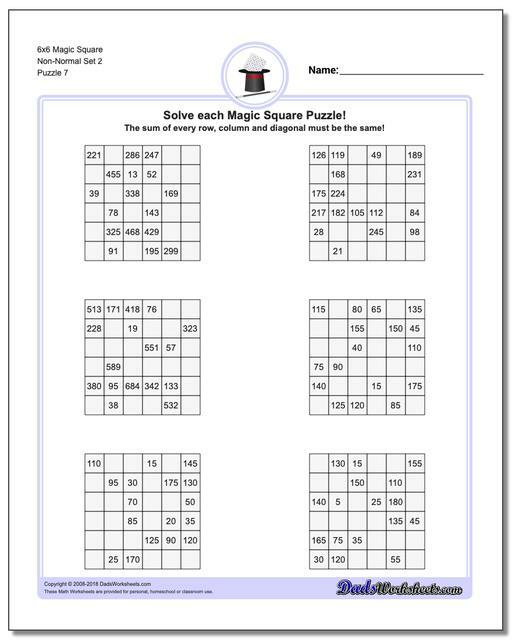 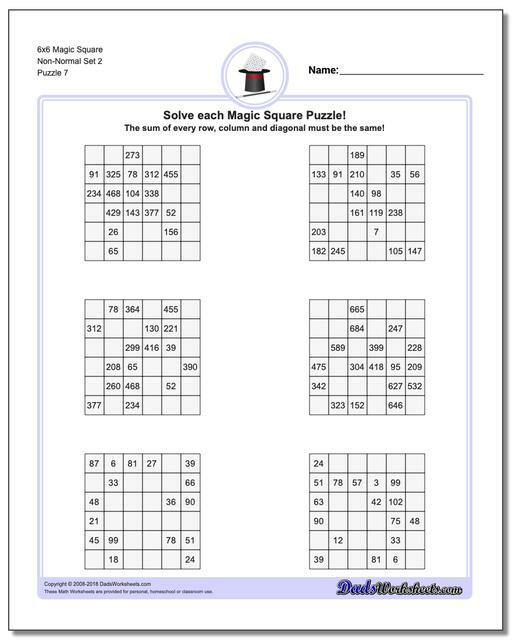 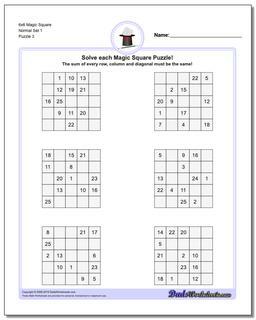 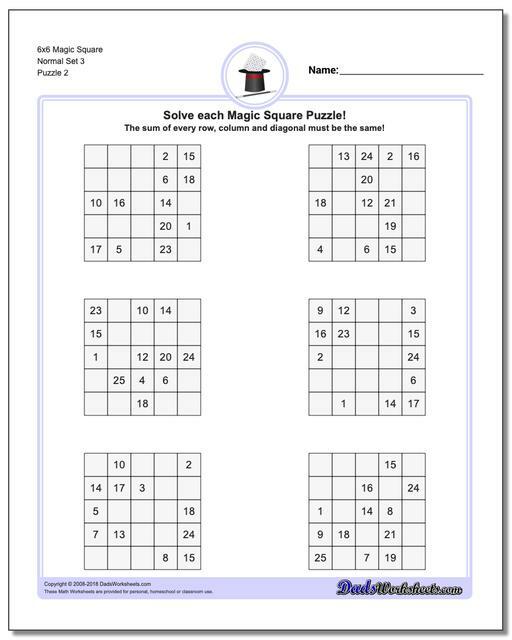 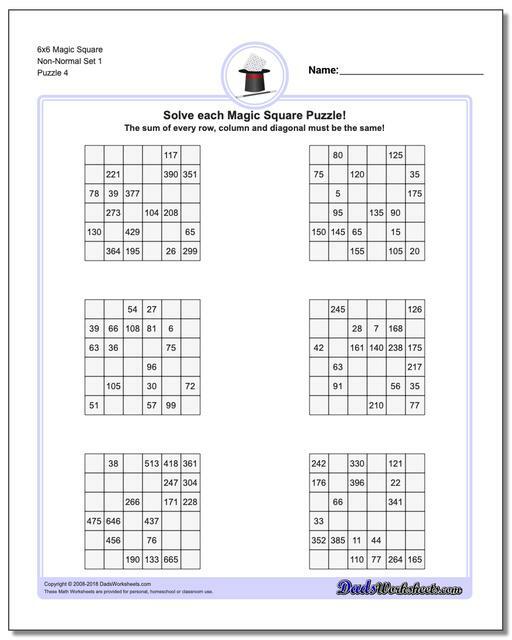 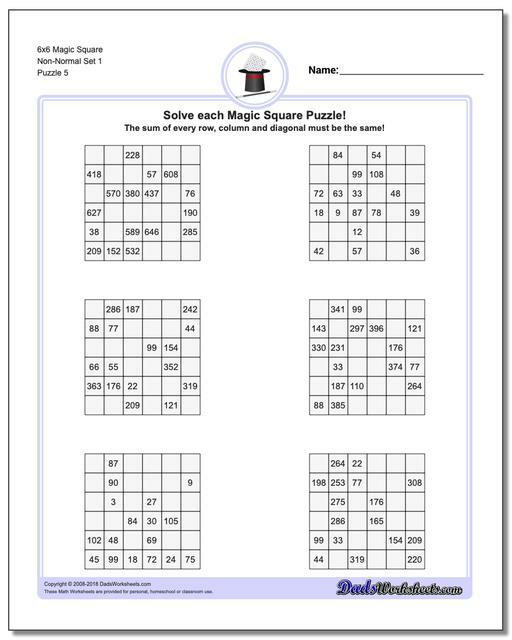 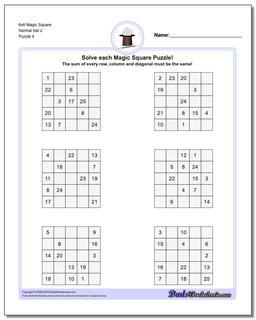 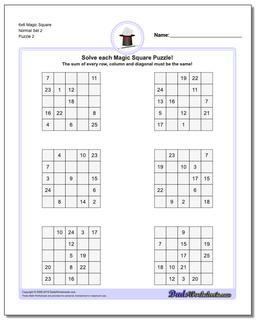 The worksheets with normal variations of these puzzles (6x6 puzzles that contain 1-36 in their cells) have a magic constant of 111 no matter how the numbers are arranged in each puzzle. Just because you know the magic constant, don't think these are easy though! The later puzzles in this section are non-normal magic squares, so the sums for those puzzles will be a value larger than 111.. 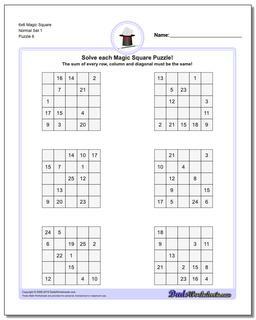 I am unaware of an method to derive the exact number of magic squares in an order 6 grid, but research using statistical techniques suggests it's a value near 17,700,000,000,000,000,000. 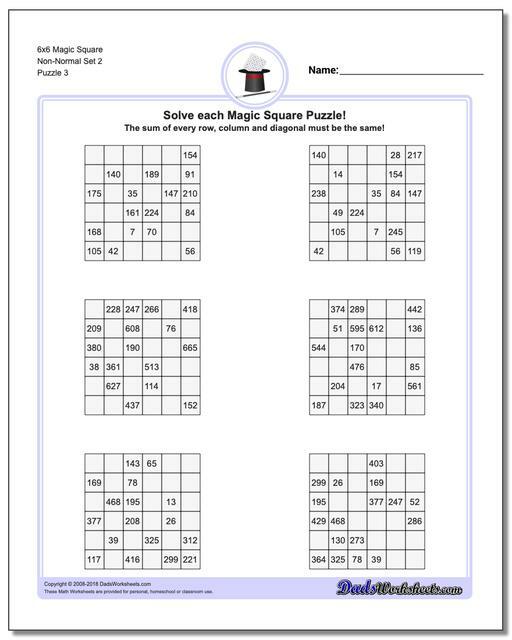 By sheer coincidence I'm sure this is roughly (ignoring for currency conversion) the construction cost of the Death Star. I'm serious, you can't make this stuff up.